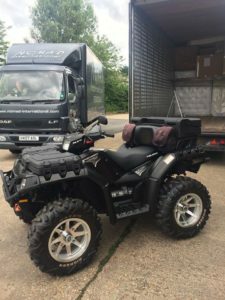 We frequently transport cars, motorbikes and other vehicles to Greece, Italy and beyond via our secure transport service. We have the correct loading ramps and securing equipment to transport these vehicles and we are always happy to do this. Motorbike and scooter transport is especially popular – we transport a great many motorbikes to and from Greece and Italy each year. 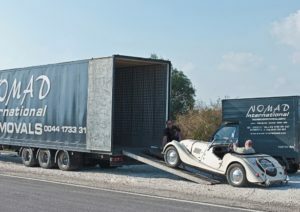 Car transport is easy and straightforward if you have the right equipment. Car transport is especially popular from Greece, because we are able to offer discounted pricing for this service. 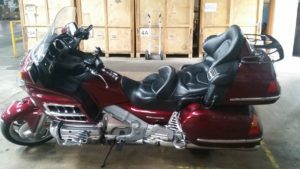 We just require the vehicle registration papers, and for powered craft and vehicles we require the fuel tanks to be emptied prior to collection. We can offer comprehensive insurance for the vehicles while in transit, for complete peace of mind. Our experienced team will take the greatest care of course. 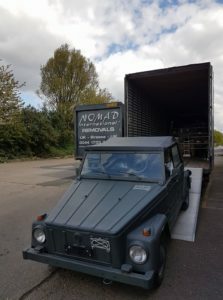 They will complete a pre-shipment condition report and valuation form prior to transport and check it off with you at the end of the journey too. Whether you would like to transport a motorbike to Rhodes or a car from Crete, please don’t hesitate to contact us.